MICHAEL LANDAU, DAVID GILMOUR, STEVE LUKATHER, JOE BONAMASSA, PINK FLOYD, JEFF BECK & JEFF HEALY should definitely check out Johnny Lennartsson Group. JOHNNY LENNARTSSON GROUP - They may be three guys from a west coast Swedish island, but the sound that drives the Johnny Lennartsson Group is anything but homespun. Lars Winther (bass) and Peter Larsson (drums) make up the trio of what Johnny Lennartsson describes as “a real band”. “We’re not dropping out of one project and into another, JLG is something we’re all committed to,” he adds. The alumni of the “Groove School” include the esteemed session guitarist, Mike Landau, and Toto guitarist, Steve Lukather. “Something must have happened at the school, because Landau is a hero to this day,” says Lennartsson, “and I know I owe a lot in my sound to that time.” What the trio share is a deep-seated search for the authentic. It’s in their attitude to life and faith, as well as in a near-obsessive passion for the guts and innards of Seventies tube amplifiers and Tyler guitars. In 2004, Lennartsson was asked to step into the musical shoes of Dave Gilmour as part of the 21-strong band, High Hopes. The goal was to recreate both the musical and scenic spectacle of Pink Floyd’s Earls Court show, the Wall. Sadly the bass player Lars Winter passed away in 2012 and the band took a needed break. 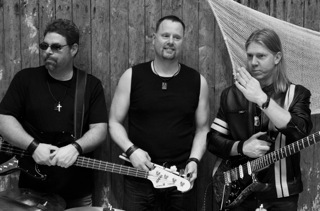 In late 2012 they found their new bass player Martin Johansson and the spark and energy is back. 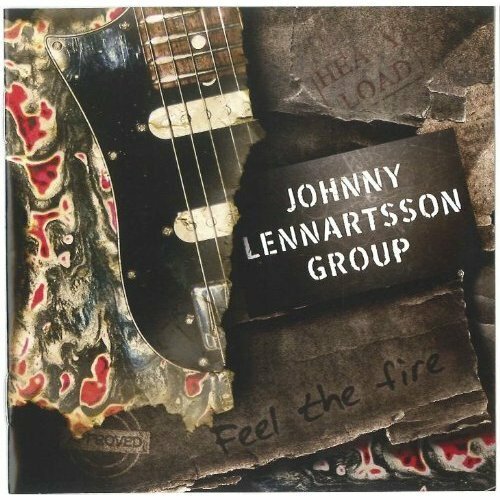 In February 2013 JLG recorded their first promotional video for the opening song "Feel The Fire" marks a new start and era for Johnny Lennartsson Group they are ready for new adventures.